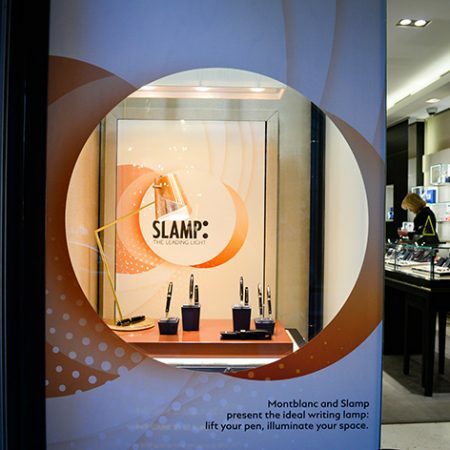 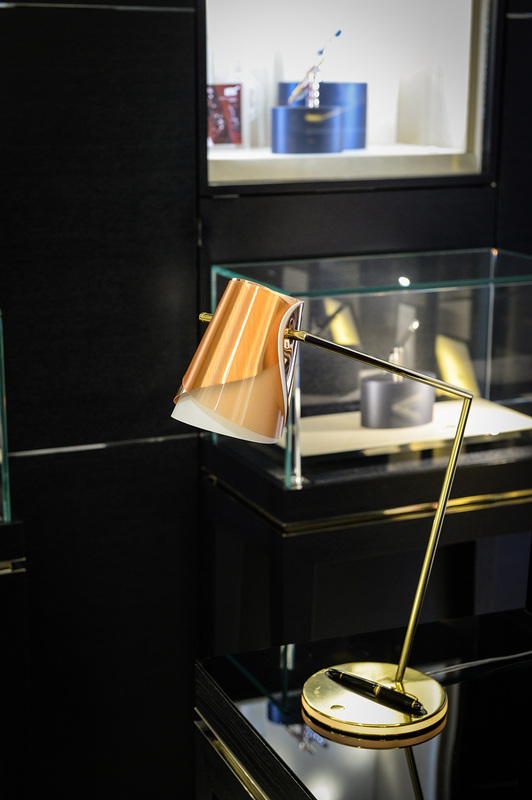 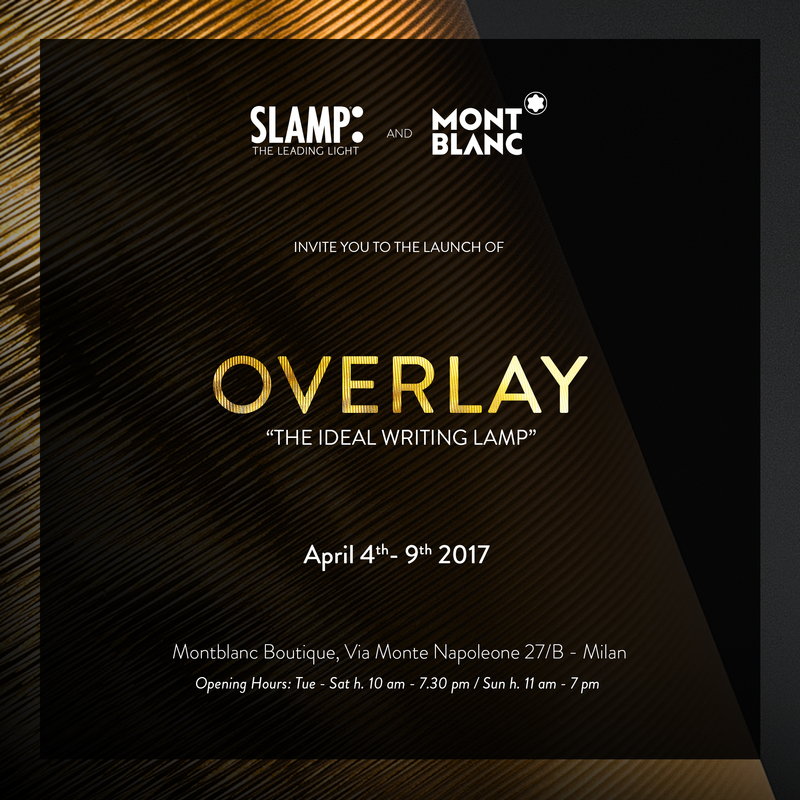 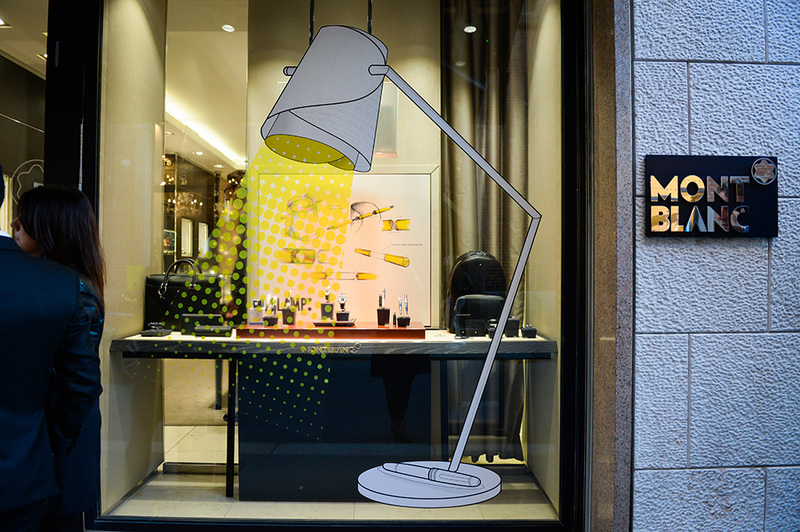 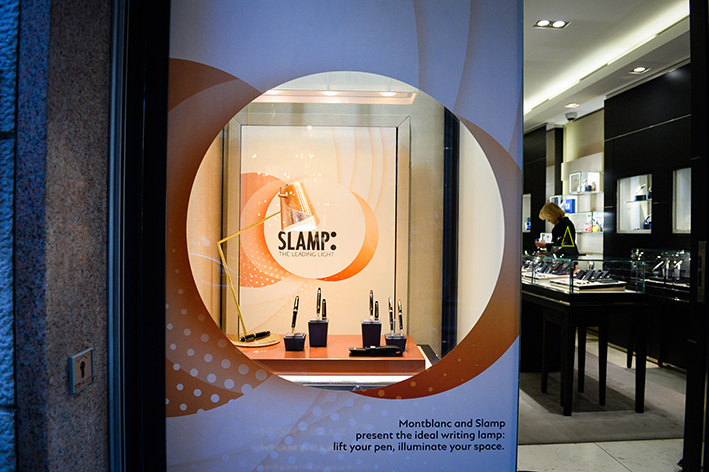 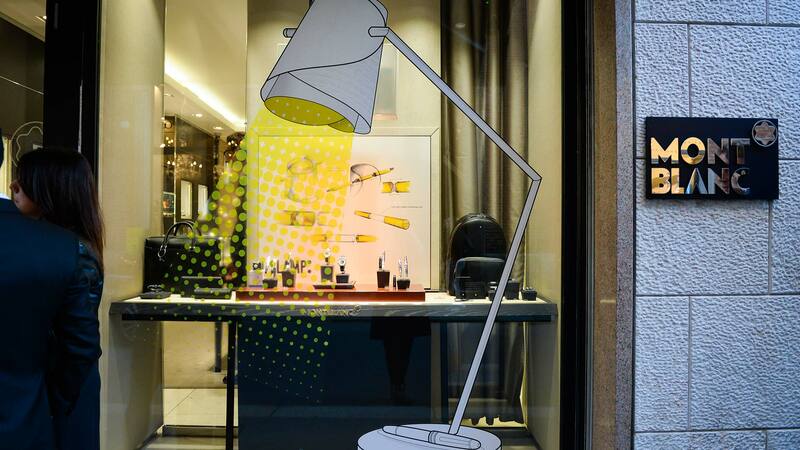 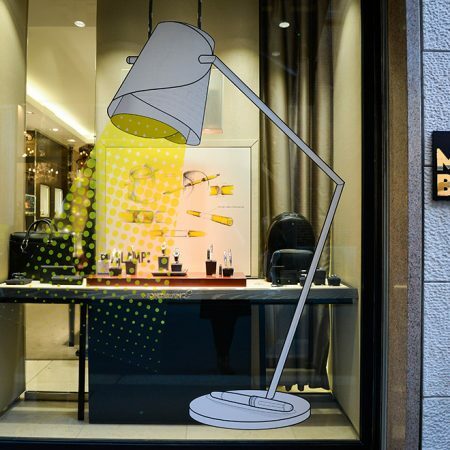 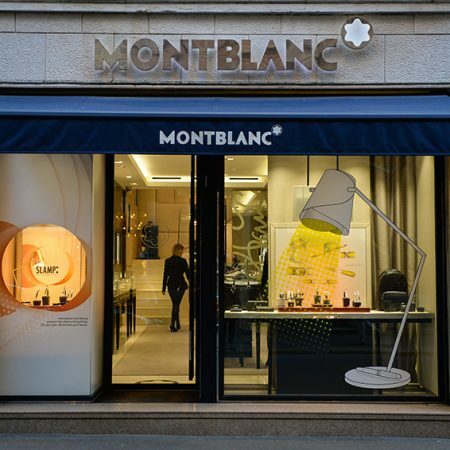 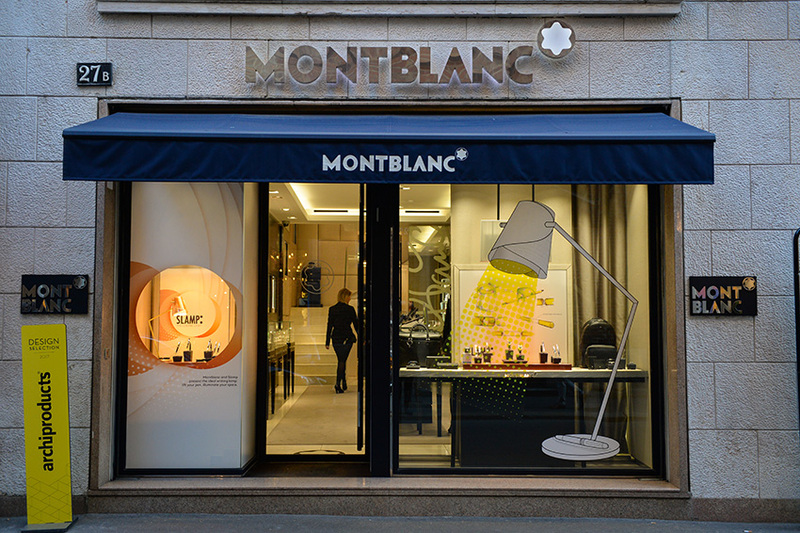 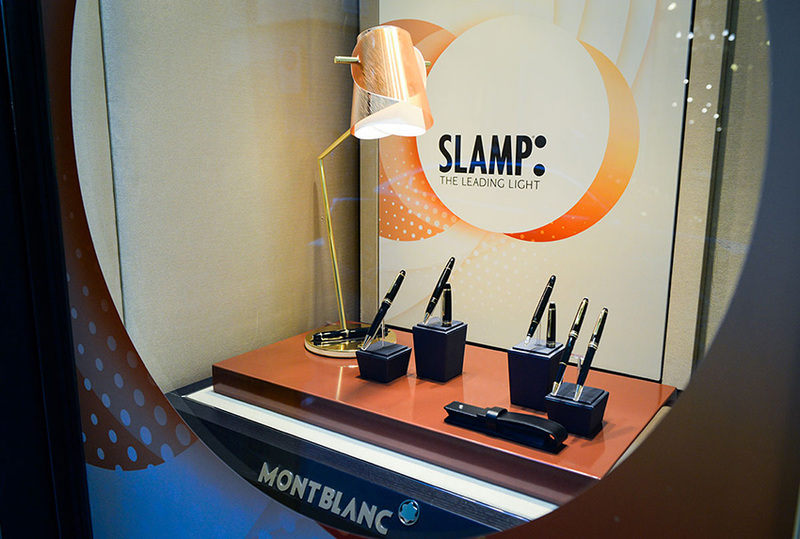 During the 2017 Fuorisalone, Slamp and the Maison Montblanc present the desk lamp Overlay, designed by Analogia Project, using an exclusive window installation in Montblanc’s elegant boutique on Via Montenapoleone. 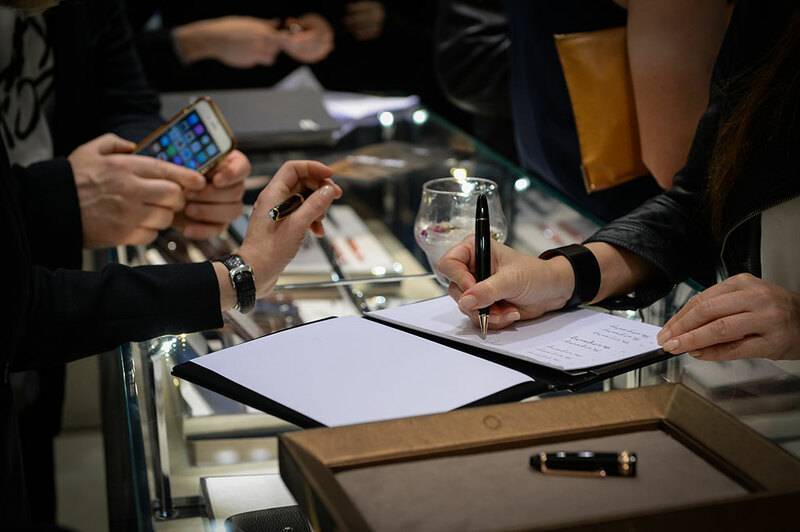 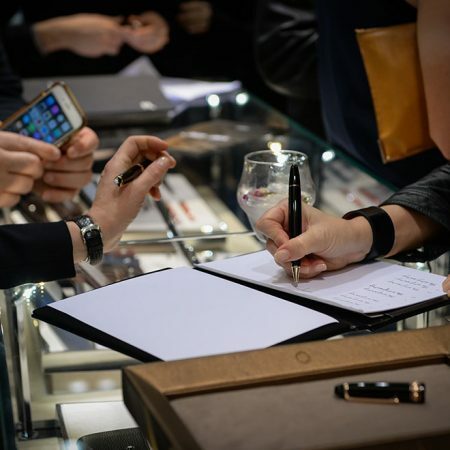 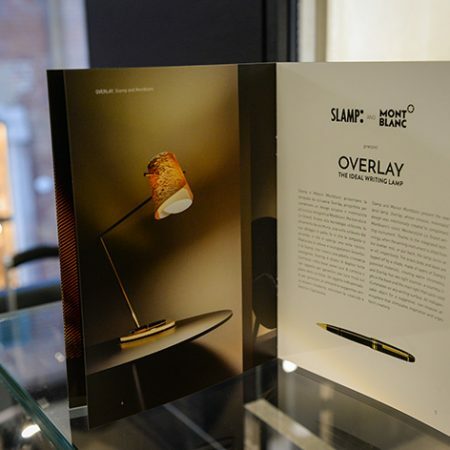 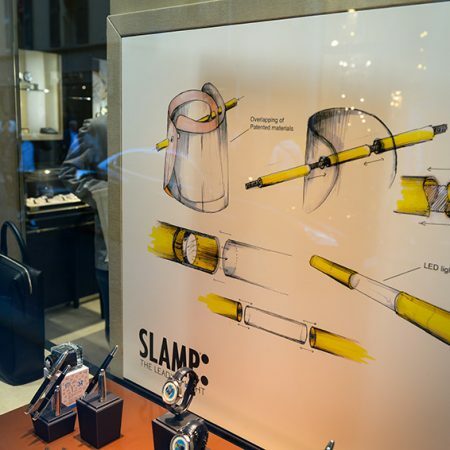 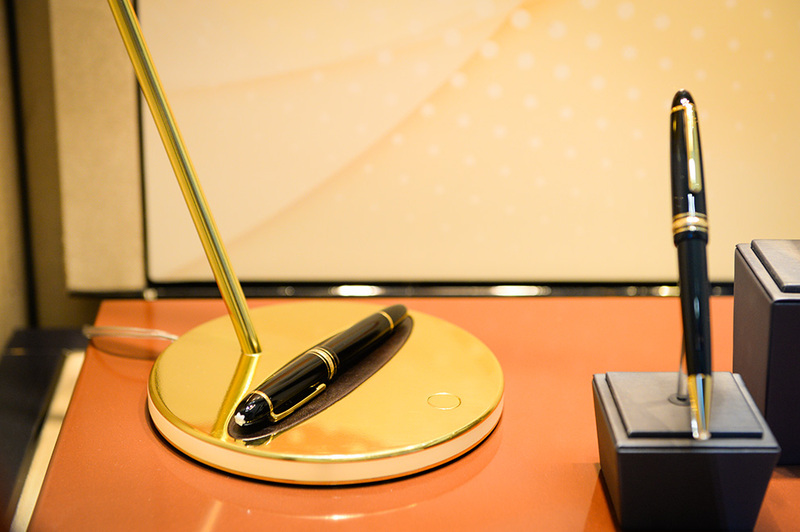 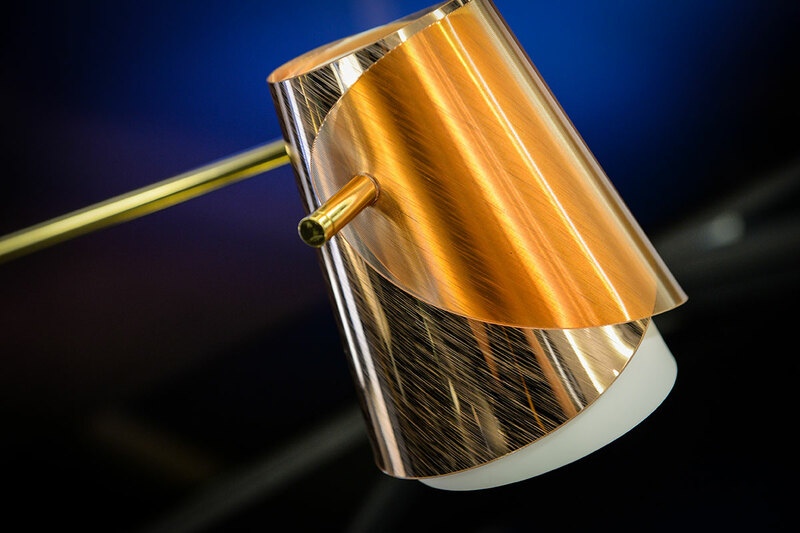 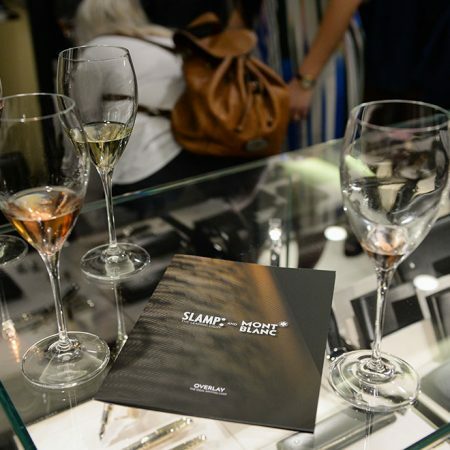 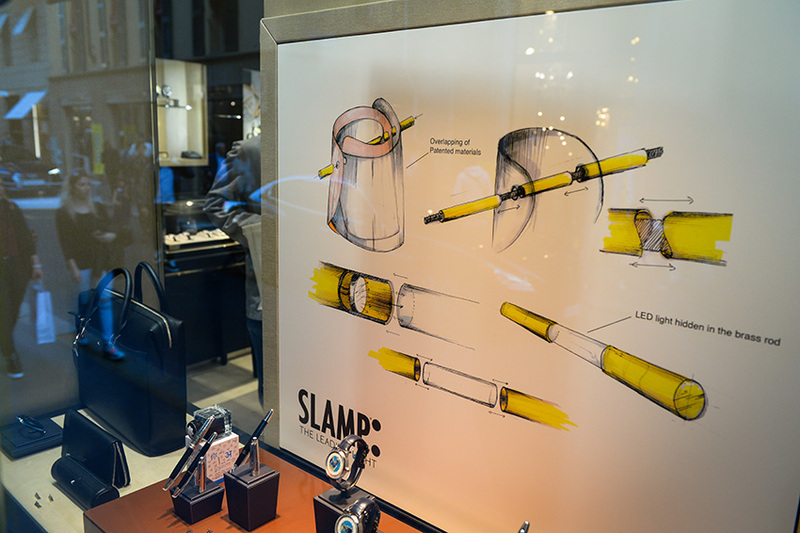 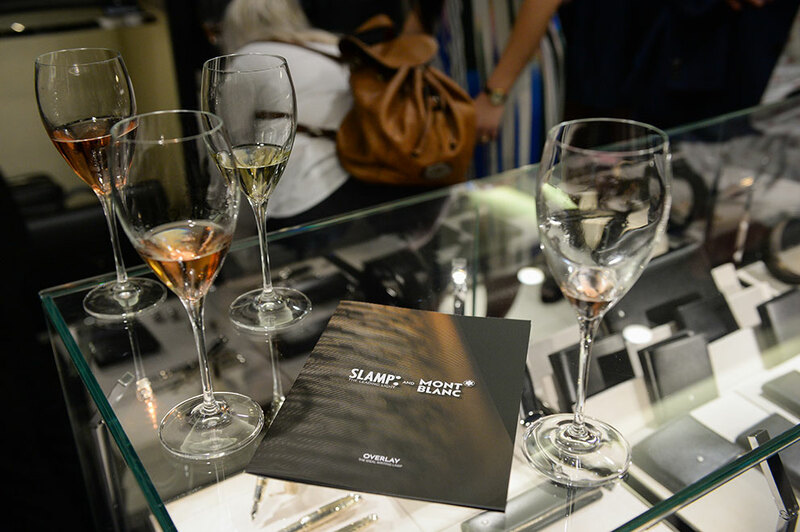 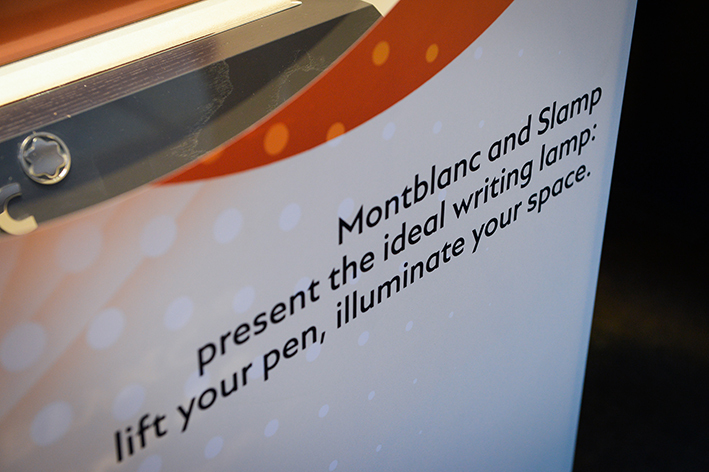 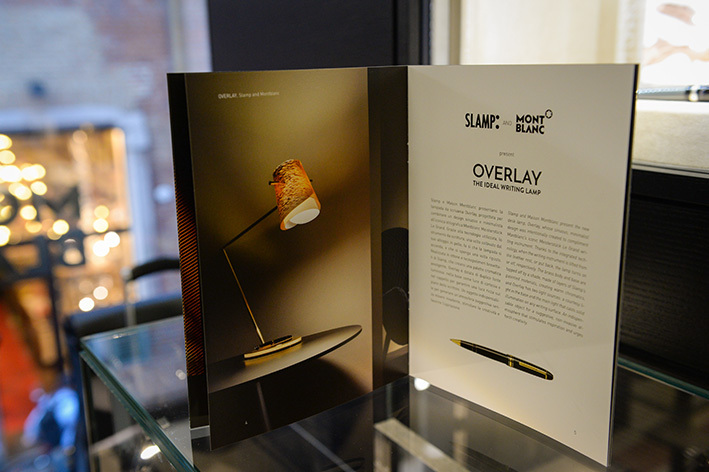 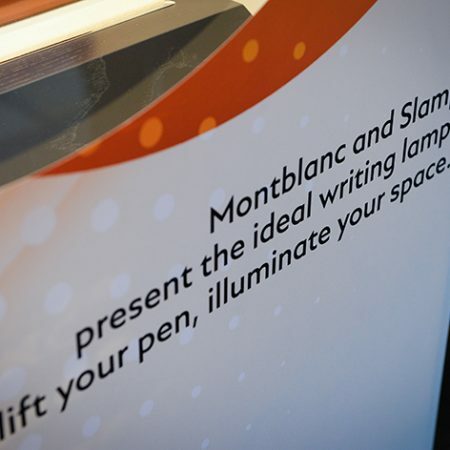 During the invite-only cocktail party, guests have the chance to directly interact with the lamp, specifically designed to combine sinuous, minimalist design with the iconic Montblanc Meisterstück Le Grand writing instrument. 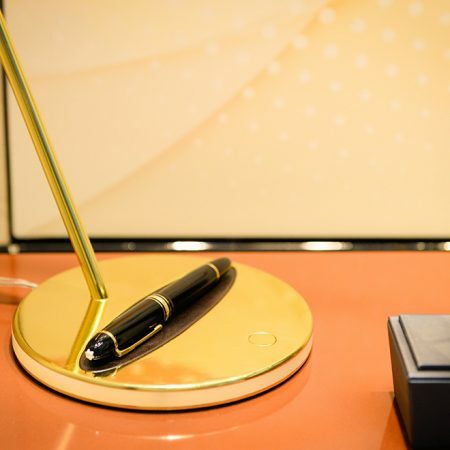 The two objects’ complicity, as well as the latest technology allow for the lamp to turn on when the writing instrument is removed, and off when replaced. 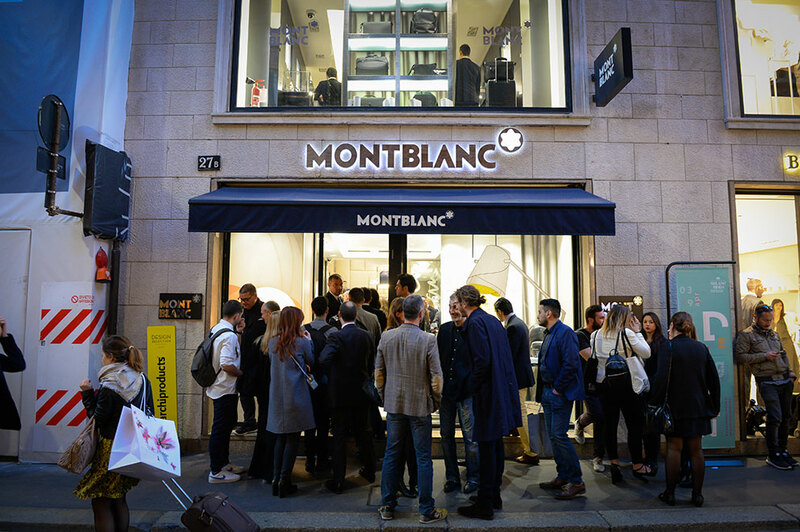 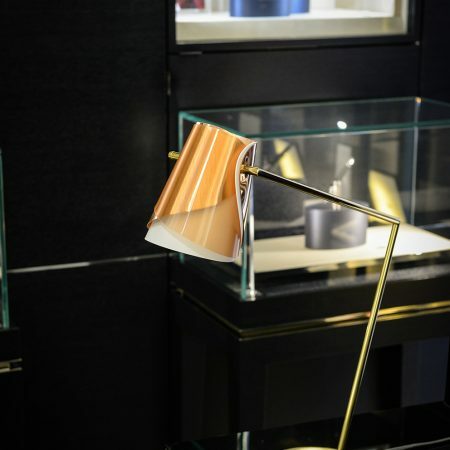 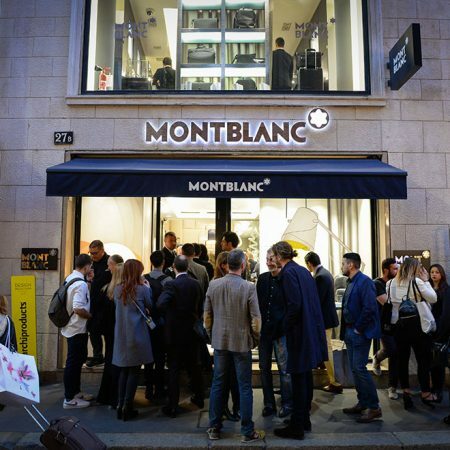 Notable guests include Montblanc Italia’s CEO Cristian Rauch, Slamp’s president Roberto Ziliani, and the lamp’s designers, Andrea Mancuso and Emilia Serra (Analogia Project).